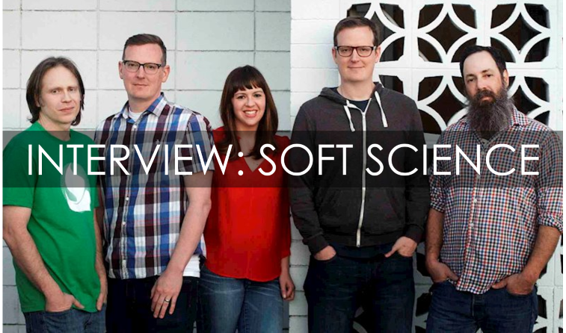 Your resource for all things shoegaze and dream pop: INTERVIEW: Soft Science | Interview by Elizabeth Klisiewicz. How extensively will you tour to support the new release? What is the most distant city you have played, and how do you handle touring while having full time day jobs and small children? When you visit different places, do you make it a point to take in the sights? Katie: At this point, our most distant city has been New York which we have gone to twice and both times it was super amazing! So far, there has not been much time for sight-seeing but we do make an effort to take in what we can. We are still kind of figuring out what level of touring/playing live we can all afford to do in support of Maps. However, we just agreed to play at Paris Popfest which we are super excited about. That will be in September (21st to 22nd) and we are in the process of trying to arrange a couple other shows in the region for the following week. Fingers crossed! However, there is a bit of a conflict between trying to manage full time day jobs, marriages, small kids, and music. We all feel really fortunate to be with supportive and tolerant people who let us run off on occasion to play a show out of town here and there. We currently have a couple shows in our home town, Sacramento, coming up. At the very least, we would like to play some West Coast shows – do a PNW run (in August) and a So Cal run (TBD), hopefully this summer. We will be posting all of our shows in advance on Facebook and Twitter. For writing lyrics or music, is it an organic process? Katie: In a way we have established our own organic process that works well for us. We essentially each play the part we do best and as such are parts that function as a whole. Ross brings in 95% of the songs and for the most part he has the songs very well worked out. A lot of times Ross has started place holder draft lyrics as well to establish a vocal melody. Sometimes the draft lyrics or pieces of them stay and sometimes I re-write the whole thing. Basically, we all get our handle on the core and weave it into what becomes a Soft Science song. Matt and I have brought songs ideas in on rare occasion but I actually think that the band has a pretty cohesive sound and focus because of our process with Ross as the band’s lead song writer. What most influences your writing? Ross: I really try to work backwards from trying to find ways to showcase Katie's voice. Which definitely leads us to lean toward the dreamy side of the spectrum. 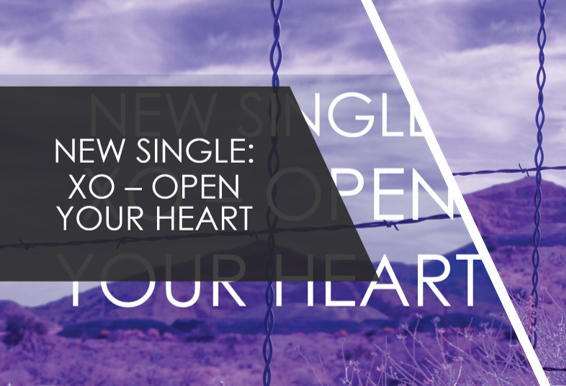 Katie: Lyrically, I take in the vibe of the core song and then I am usually inspired by something going on in my life, a past memory, or a feeling that I focus on and build to create lyrics. What is the band listening to right now? Katie: Most recently I have been listening to Me Not You, Reckoning 2 (EP), and Holy Motors, Slow Sundown. I am excited about the upcoming Orange Peels album, I listened to their new single this morning. From last year, I am still enjoying Frankie Rose, Cage Tropical; Alvvays, Antisocialites, and the last Slowdive which was my favorite album of 2017. I also still revisit Beverly, The Blue Swell from 2016 quite a bit. Ross: Alvvays' record Anitsocialites was my favorite of last year. I've fallen into the habit of listening to podcasts and streaming radio like The Big Takeover Radio Show, everything on DKFM, the Kitchen Sink, TBTCI Radio show, The Reverb and if something really grabs me I'll search out the record. I'm a huge Ride fan and think their new EP is great, the track Keep It Surreal is a hit in my world. Blue Field by The Luxembourg Signal and Lake Ruth's record Birds of America are both super good too. And finally, where are your most ardent fans and your favorite places to play live? Katie: My two favorite shows were a couple years ago when we went to New York and played at Popfest and at WFMU opening for The Chills, which I still can hardly believe we actually got to do that! 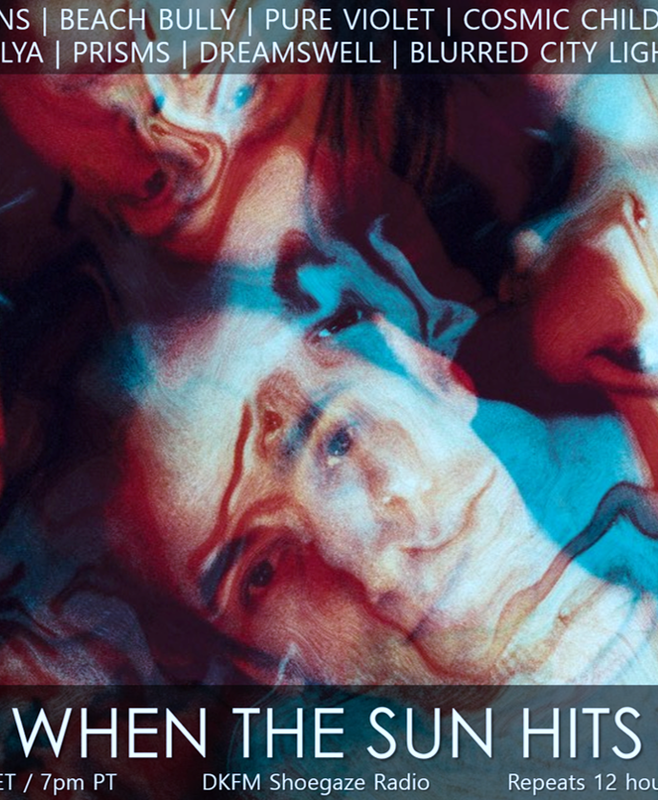 Jack Rabid (The Big Takeover) helped get us in touch with The Chills management to coordinate that one. That show was particularly special and the sound was superb! It was an amazing experience. Ross: I'm not sure we have enough ardent fans to really say. Music is weird in that once you release a song into the world it has a life of its own. It's really abstract. We generally just really appreciate when someone who we don't know says that they like our stuff. Music is such a personal thing. A band could only have one fan, but to that fan they could be the world. Not saying that we're the world to anyone, but you get the point. As Katie said, we don't get out and play as much as we like, but our trips out to New York have been great and we have some exciting opportunities coming up that we're really looking forward too. We're hoping to get to some places we've never had a chance to play before. Thanks for the interview Elizabeth! I'm really enjoying their newest songs and am looking forward to the full length and possibly seeing them live in Los Angeles! Katie was nice enough to do a vocal ID for my station. So great to read about the band, thanks again! Maps is a nice polished record. Will definitely be listening to it more.